Those following me on the blog, know that over the last 12 months, I've become a great advocate of working with smaller cameras. When Fujifilm Middle East, borrowed me a copy of their brand-new 10-24mm f4 wide-angle lens last week, I knew that I might as well give them the 1000,-USD and keep the lens. A week into the testing period, I've taken the brand new lens on a few shoots and have not been disappointed! While one can expect an "in the field review" towards the end of next week, I want to share an image shot yesterday, as my Pic(k) of the week! 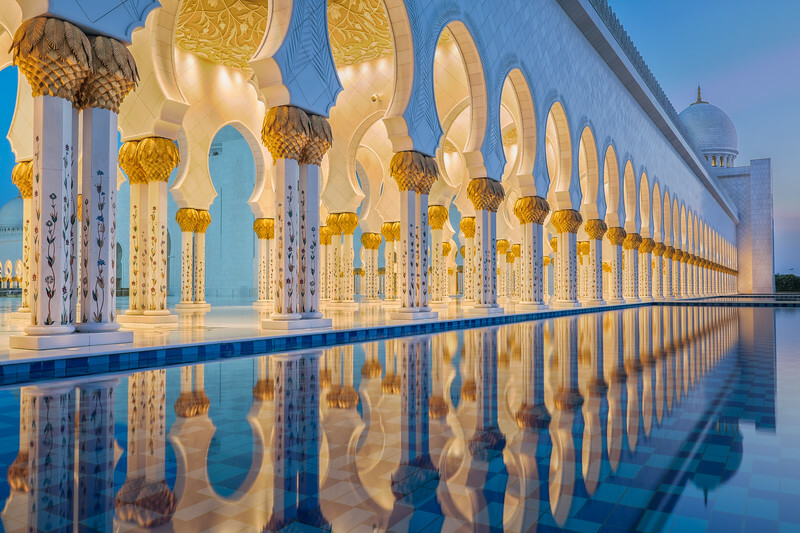 It was made at the Sheik Zayed Grand Mosque in Abu Dhabi (UAE); the perfect setting to test a wide-angle lens. Even though there are more restrictions on where one can go than before, the site at the Grand Mosque, one hour from Dubai, is still a must visit for all photographers visiting the UAE. More images of the Sheik Zayed Grand Mosque can be found here. The Al Marmoom Camel Racing track on the Dubai-Al Ain road, is a great place to capture the ship of the desert with their trainers. As the yearly Camel Racing festival has just come to an end, the camel herding life is now back to normal. With a total area of about 40 square kilometers (10 km x 4 km), the Al Marmoom farms and track is along the largest in the region. 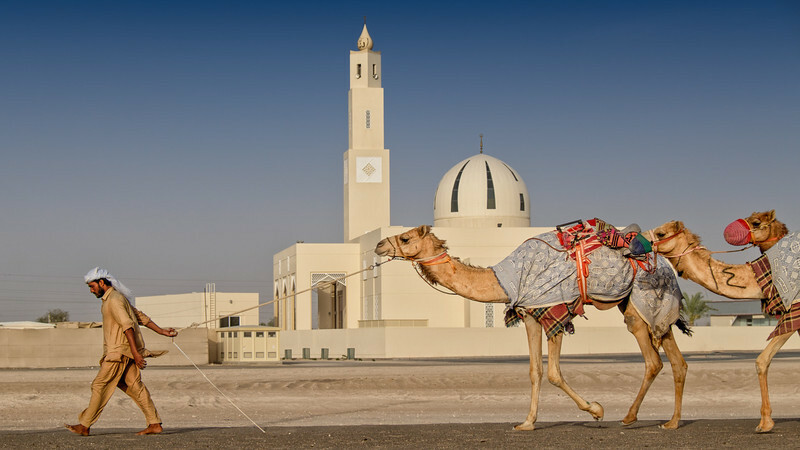 Although camel racing has been around for more than 1000 years, it's popularity seems to be on the rebound! The sport has gone through some rough times and has now been modernised. In 2002, the UAE was the first country in the region to ban child jockeys (less than 15years). Since then, robots have replaced them, leading to a safer place for all involved! One of my favourite places for shooting at sunset is an open spot between the camel farms and the track, facing one of the Mosques. More "Camel" images can be found here. Pic(k) of the week 16: Car Painting Art? It has been a while since I last had an iPhone image make it to my Pic(k) of the week... But I believe this one deserves to be up there! The image was shot at Alserkal, an industrial area in Al Quoz -Dubai; which over the last 6 years has quickly become the "Art center" of Dubai. The project houses about twenty or so "Art Spaces", and is a great places for people that want to boost their lack of Art in Dubai! While walking back to my car, after attending a very inspiring Gulf Photo Plus talk by Magnum photographer Olivia Arthur, I bumped into this special Bentley. The limousine, that clearly wasn't being driven like this, had received a contemporary paint job that really stood out! I was especially attracted to the dark street feeling of the scene and believe this iPhone 5S image really reflects this atmosphere! On a side note; if you haven't done so, please make sure you check out Gulf Photo Plus. They are a private organisation that does a wide variety of Photography related things; from organising photography workshops, through gallery exhibitions, doing quality printing to selling all kind of photography stuff and much more! A gallery with the best of my iPhoneography can be found here. One of them, is an image made at dusk in Kortrijk, the city where I used to live before moving to Dubai almost 12 years ago. Due to the booming flax and wool industry in the Middle Ages, this city became the most important city in Flanders. One of the most historic buildings in Kortrijk, dating back to the Late Middle Ages, are "The Broeltorens" (Broel Towers in English). 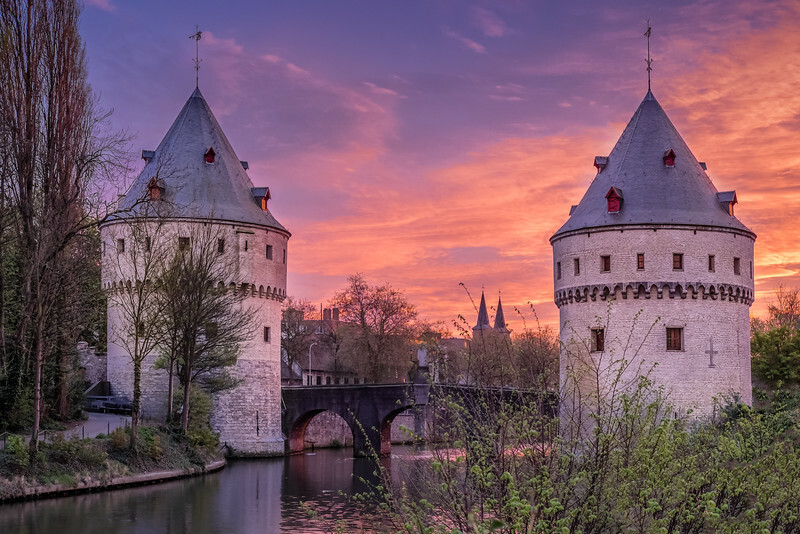 Although looking identical, both towers were not built together; but one was built in 1385 to control the traffic on the river Lys, while the second one dates back to 1415 and was used as an armoury. Interestingly, the day I made the image below, was an extremely dark, overcast day. Less than 10' after I left the house, the sky broke up and it ended up being a great sunset. Proof that one always needs to try and see if any images can be made out there! Photographers note: As I shot this image using a MeFoto tripod, there was absolutely no need to use a relatively high ISO of 2500... I left the camera on AUTO ISO by mistake. Having said this, it is a testament for the great high ISO quality of the X-series cameras! A dedicated gallery with only Fujifilm X-series work can be found here. Remember: "Life is like photography, we develop from the negatives"
2014 marks 100 years since the start of the Great War; best known as World War I (1914-1918). The part of Flanders in Belgium where I'm from, has hundreds of military cemeteries and memorials scattered over the West part of the country. Over the years, I've visited a large amount of them, but until yesterday had never visited a German cemetery. While there are a few hundred Commonwealth WWI cemeteries in Belgium, only 4 German ones exist. Being very sober and dark, they are very different from their counterparts, which often have hundreds of white identical graves. As more than 16 million people lost their lives in the Great War, I wanted to show both sides of the story with the image below. 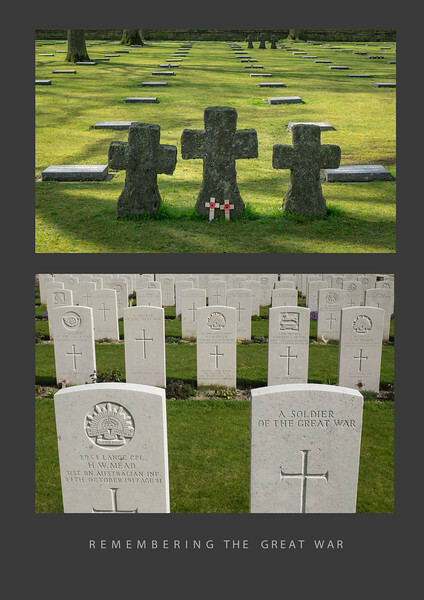 A diptych of two cemeteries showing both sides of the story; the top one being the German Cemetery at Vladslo near Diksmuide (25644 soldiers), while the bottom one was framed at the Commonwealth Tyne Cot cemetery (11954 soldiers) near Zonnebeke. More images of the Belgian Military cemeteries can be found here.